Share our flyer with your parish community any way you see fit. 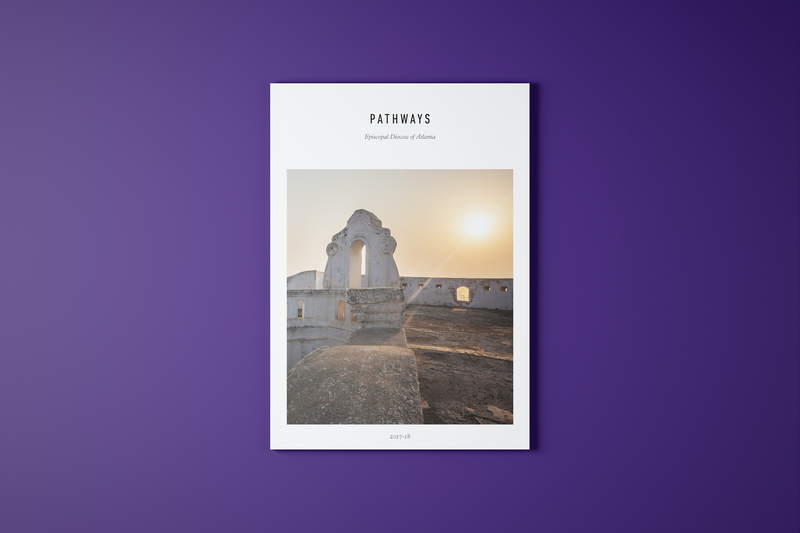 Help bring attention to this year’s Pathways magazine by engaging your community on social media. Get started by sharing these posts using #PathwaysEDA and tagging @episcopalatl. Be sure to follow the Diocese of Atlanta on social media and feel free to share the our posts. Share our announcement in your next parish newsletter, weekly bulletin, or other communication. The Episcopal Diocese of Atlanta is pleased to announce that the 2017-18 issue of Pathways magazine is now available. This award-winning publication shares inspiring stories of people that are challenging themselves to love like Jesus. Order your free copy today at: https://pathways.episcopalatlanta.org/order Quantities are limited. Included here is a promotional flyer for you to post wherever you see fit. Download.